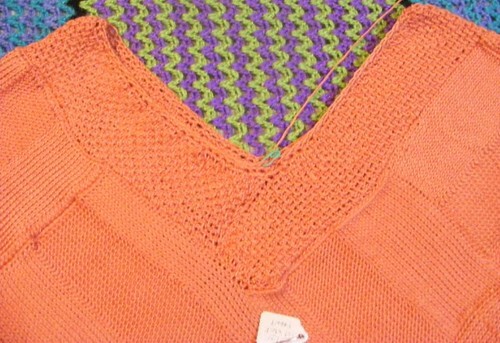 closeup of collar in progress, a photo by tygger428 on Flickr. I had to modify the collar extensively, I had to add a bunch of extra rows because the neck / shoulder area was way too “open” to wear properly. I’ve also added a couple rows of single crochet, with some decreases, will add more until the collar is sized properly.